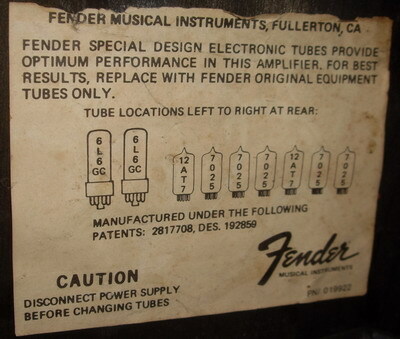 Fender Concert II 2x 6L6 power tubes 60W P.Rivera era 1983 Analogic point to point, come with original foot switch ! Power Tube matched new Ready to Play! 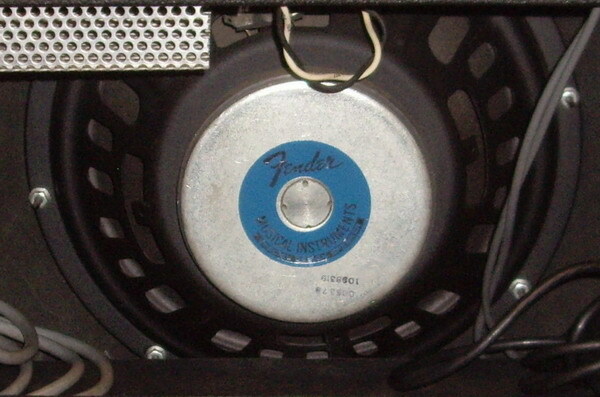 Rivera era “Concerts” were built from 1982-1987, not to be confused with the later, non Rivera “Concert Amp”, circa 1993. The amp is rated at 60 watts RMS. It is a hand wired, point to point amp. It has two foot switchable channels (with separate EQ.) and foot switchable reverb. The tube compliment is: 2, 6L6GCs, 5 12AX7s and two 12AT7s. Layout of front; It has high and low sensitivity inputs. The clean channel has volume with bright boost, treble, and bass. (The reverb and presence also work in clean mode.) 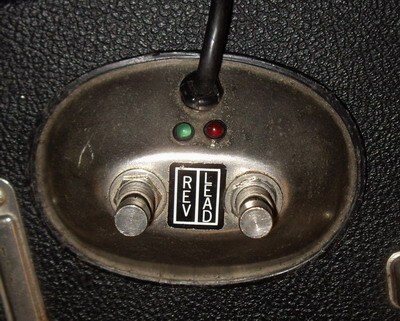 The lead channel has volume (with pull channel switch, when not using the foot switch), gain, master, treble, mid (with pull mid boost that adds a lot of boost), bass, reverb and presence. Then there is a standby switch and an on/off switch. The reverb is via a tube driven, Accutronics long tank (another benefit of a bigger cab). 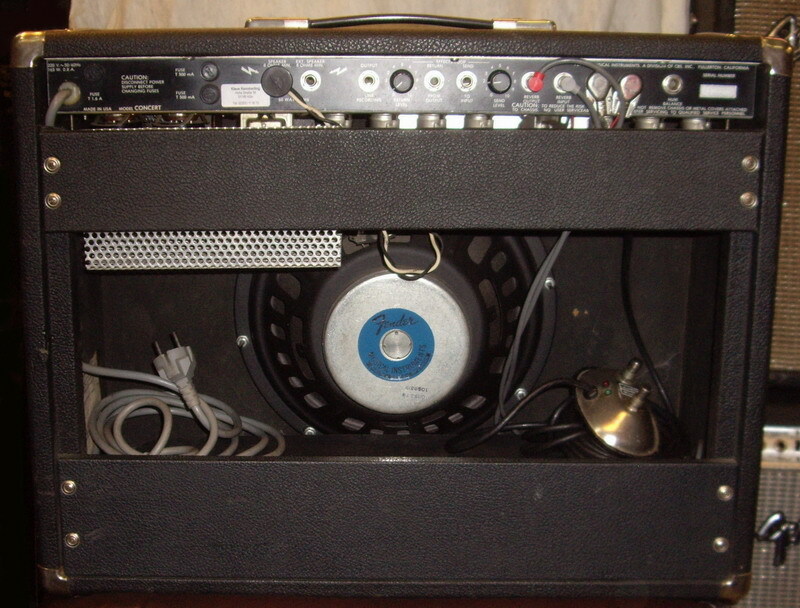 Layout of rear, AC outlet, ground switch, main speaker jack (8 ohm), external speaker jack, line recording out, return level, effects return jack, effects send jack, send level, reverb tank out, reverb tank in, jack for channel foot pedal, jack for reverb foot pedal, hum balance pot. The clean channel is surprisingly strong and holds clean way up until the bitter end. You have to get past 6, on the audio taper pot to begin to make it clip. 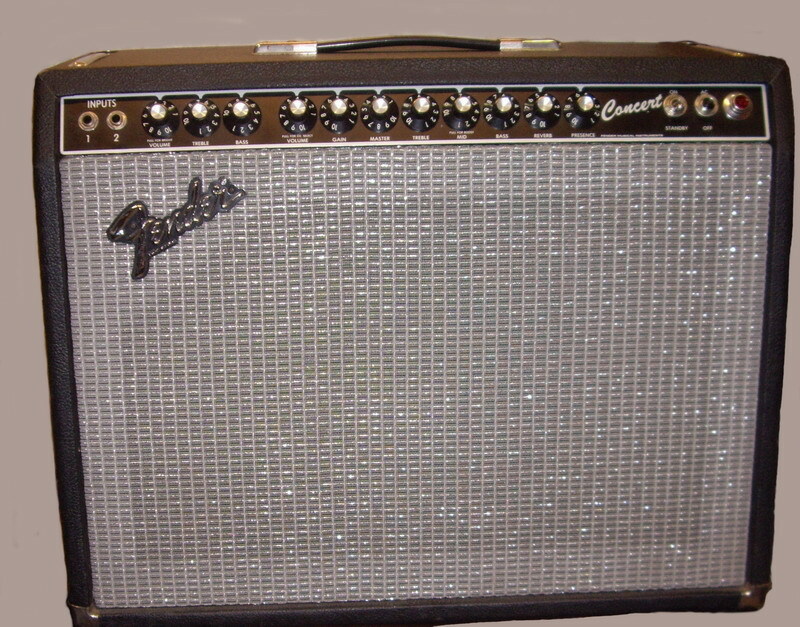 It has the unmistakable sound of a good old black face Fender and probably closer to a Twin than a Super Reverb. The lead channel has its own sound. It is definitely not Marshallish. Some say it sounds like a Boogie but it sounds nothing like the MKI, MKII or MKIII amps I have had. It has its own, medium gain sounds that somewhat split the difference between a cranked Super Reverb and maybe a little Boogie-like.